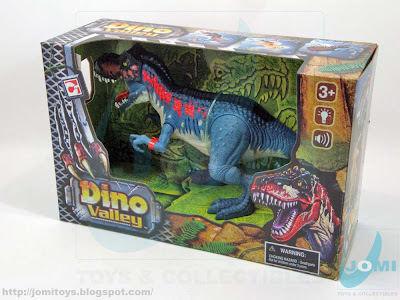 JoMi toys - under maintenance : Dino Valley 3 dinosaur playset : T-Rex - Update! 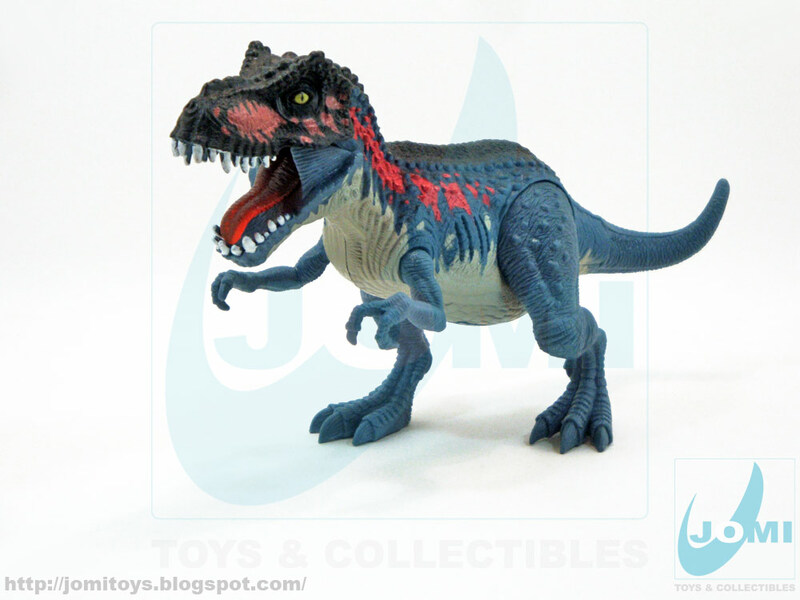 Dino Valley 3 had many repaints and some great ones too, like the Suchomimus. It also offered again the chance to get the medium-sized SFX dinos from Dino Valley 2. This 2nd version of the previous attempt is arguably more balanced in terms of color scheme. That is the first impression. 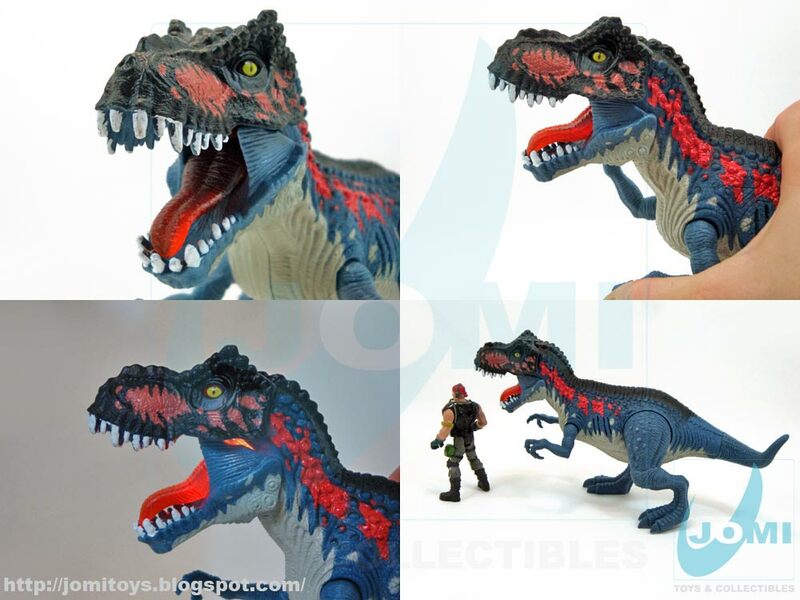 If the previous DV2 dino was more similar to the first CM T-Rex, this one has more a Mega-T feel to it. Interesting "figure", a must for any fan, of course. And a cool variation, basically. The SFX are activated by pulling the creature´s arm. 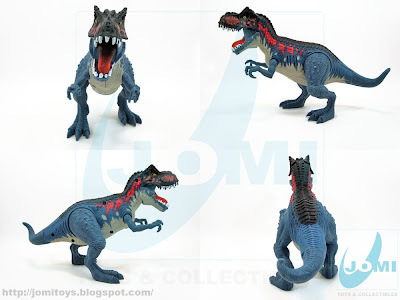 Lights the whole inside of the head and pulls a powerful "godzilla" scream. As for scale, it looks a juvenile. Figure is not included in this set. None is.